Tata Consultancy Service (TCS) is Hiring for the Various Posts 2015 . Eligible candidate can attend off campus Interview on 30th May 2015, for more details check below. 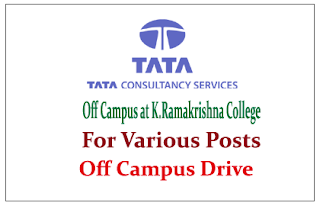 Tata Consultancy Services Limited(TCS) is an Indian multinational information technology (IT)service, consulting and business solutions company headquartered in Mumbai, Maharashtra. TCS operates in 46 countries.